To ensure the most successful import into XERO, completing the following steps is recommended. More details on each of these steps are notated below. The next section outlines the process for exporting from Deputy and importing into XERO if these steps have already been completed. These are the items that may be reviewed for the configuration as a whole. The changes made may affect more than one employee. Before pay items can be successfully imported into XERO, a pay run (based on a created calendar) must be created in the area shown below. XERO matches its Import Data to employees based on their Email, First and Last names. Ensure the spelling is correct in XERO and Deputy and that there are no blank spaces after the typed name in XERO. If there is an empty space after the typed text, XERO will fail to match the employee. This is the area to review and/or edit the employee name in XERO. This is the area shown below in Deputy where the employee name can be reviewed and/or edited. To navigate to this area please go to the 'People' tab in Deputy and edit the employee. 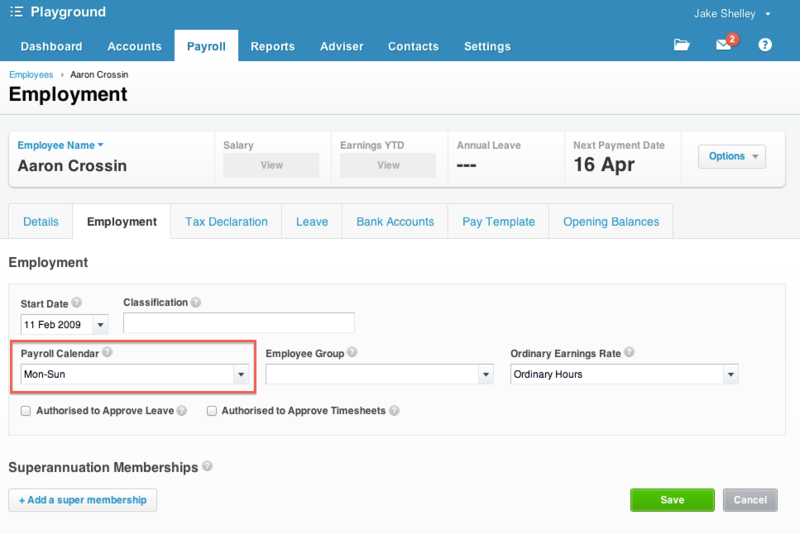 Relevant employees must be assigned to a Payroll Calendar in the area shown below so that XERO can accept the pay items for this period for the employee from Deputy. It is recommended that when an Earnings Rate is created, the rate is notated in the Rate per Unit area. All Earnings Rates then assigned to the employee will refer back to this rate. This reduces data entry in most circumstances and reflects the accurate use of multipliers if employees are eligible for different rates when working in different areas. 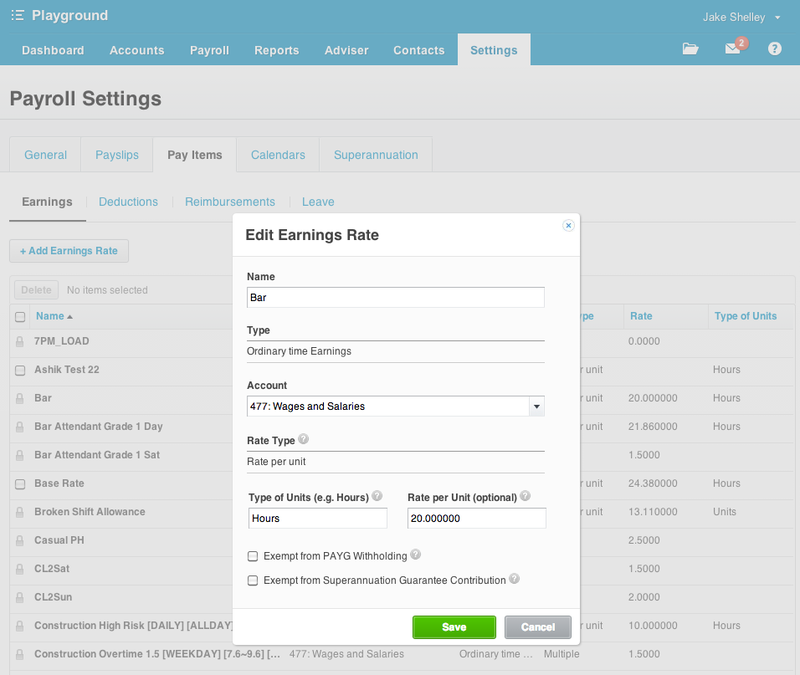 When setting up the employee’s profile pay template, Earnings Rates are added by using the ‘Add Earnings Line’ option. In order for the your award rates to automatically sync between Deputy and XERO you will need to ensure that your Deputy Pay Conditions export codes are exactly the same as the Pay Items you have setup in XERO. 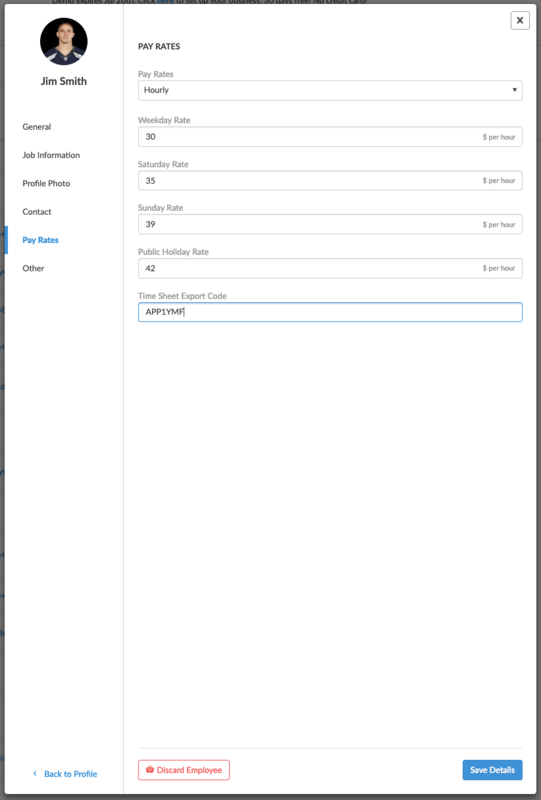 To adjust the Deputy Pay Condition exports codes please navigate to People -> Edit Profile -> Pay Rates, then edit the Pay Rates and then adjust the timesheet export code. When you have finished approving the time-sheets within Deputy for the current pay period, you will then be ready to export these from Deputy into XERO. To do this, please navigate to the Timesheet Export screen. Please select the employees of whom you would like to export and then select ‘Export Selected Items’. When selecting Xero Payroll (timesheet export) from the dropbox list you will then be asked to Connect to XERO. Please click on this link and follow the required steps. This will create the connection between your Deputy and XERO accounts. After connecting your Deputy account to your XERO account you can export your data seamlessly into XERO time sheets. 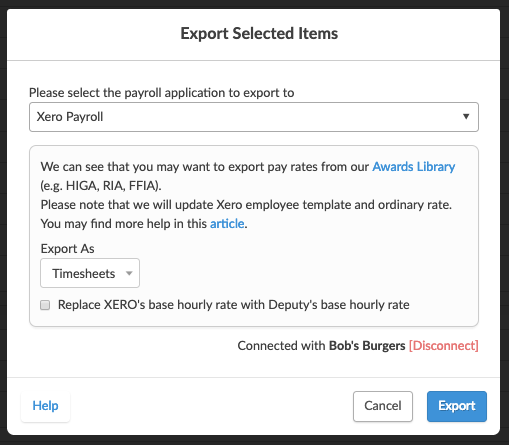 Unlike most other payroll packages, the export automatically imports into XERO all in this one step. Even though it is not necessary, it is recommended to have XERO open during this process. XERO is then available to make any amendments. A message similar to the below will be displayed by Deputy to verify that the export was successful. Below are the most common situations for unsuccessful exports. When an error with the import process occurs, it is recommended that the pay run is checked to confirm which employees hours have been imported and which ones have not. The import will only need to be executed for those that were not successfully bought across the first time. The process on how to rectify each error is notated in the ‘Product Preparation’ section. Note: If all pay items are exported again, they will over-write any previous export. The following Export Failed message will be received if the Earnings Rate name and the Export Code name (in the relevant Pay Condition) in Deputy are not identical or if there are multiple Earning Rates with the same name. For best practice purposes please make each Earning Rate unique. The following Export Failed error message will be received when you are exporting to XERO if the corresponding pay run has not been created in XERO. If you do not have the employee names identical (First and Last names are relevant only) in Deputy and XERO you will receive this error message when exporting. The Export Failed message illustrated below will occur if you have not linked the employee you are exporting for to the applicable pay run in XERO. There is no import step that must be actioned in XERO, this happens automatically based on the Customer Authorisation Key. 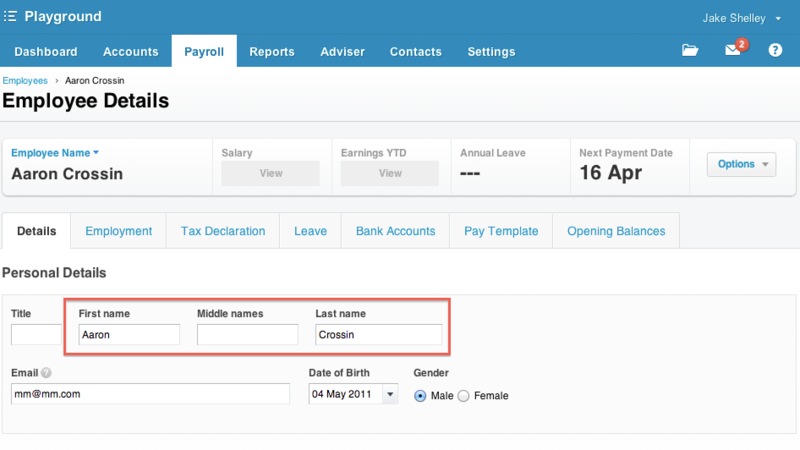 On export of Pay Time Sheets from Deputy, the following items are sent directly to your XERO client account. The data sent is automatically inputted into each employees pay slip as shown above. Each employee is identified by the first and last name from the Deputy export. XERO will calculate the pay for the employee based on the Earnings Rate data configured in XERO in conjunction with the relevant units imported by Deputy. 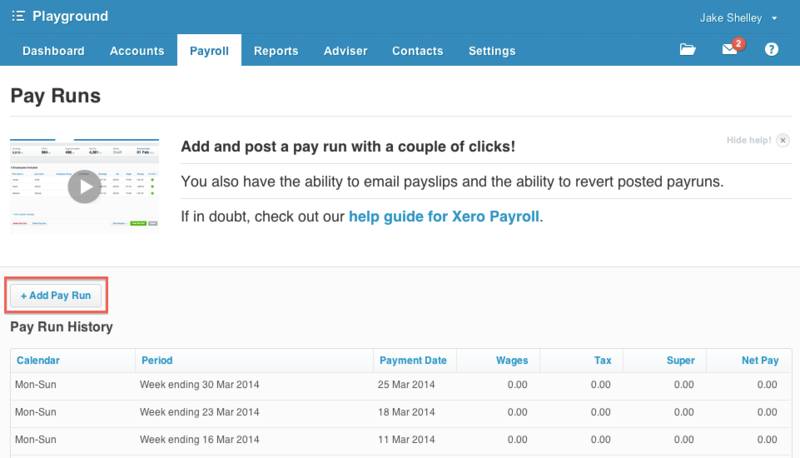 Ensure the pay rate values are correct in XERO as the relevant pay information for Deputy is not utilised. 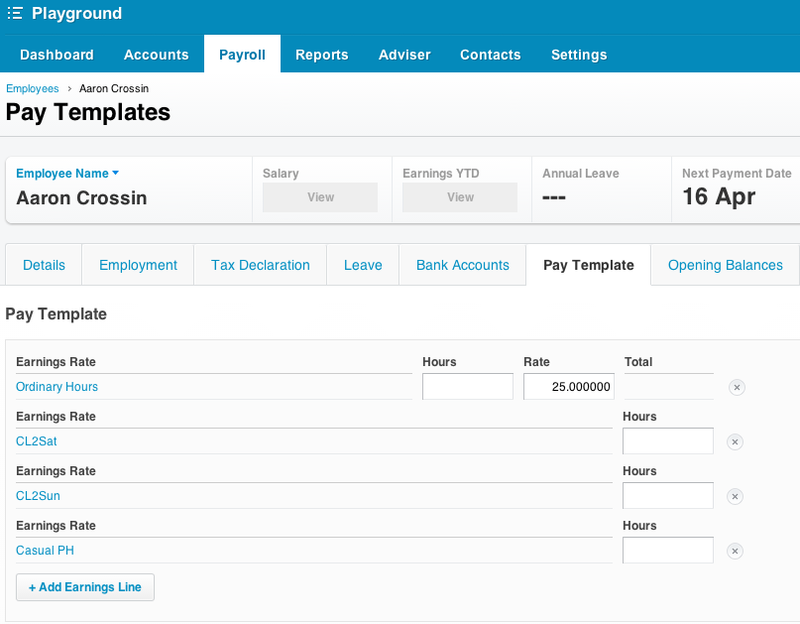 Note: All Earnings Rates the employee is eligible for will populate in the pay run screen. Any that are not applicable for this pay run may be removed by using the ‘x’ at the side of the relevant Earnings Rate.